The Iraqi troops have killed 700 Daesh terrorists during the operation to liberate Khalidiya Island in the Anbar province. The Iraqi forces have killed 700 Daesh militants since the beginning of an anti-terrorist offensive on Khalidiya Island located 14 miles east of Ramadi in the western Anbar province, the commander of Anbar Operations said. “Security forces so far has killed 700 ISIS [Daesh] members since the beginning of Khalidiya Island liberation battles. Khalidiya Island has been liberated two weeks ago,” Maj. Gen. Ismail Mahalawi said, as quoted by the Iraqi News outlet. The final anti-terrorist offensive on Khalidiya Island started in late July. 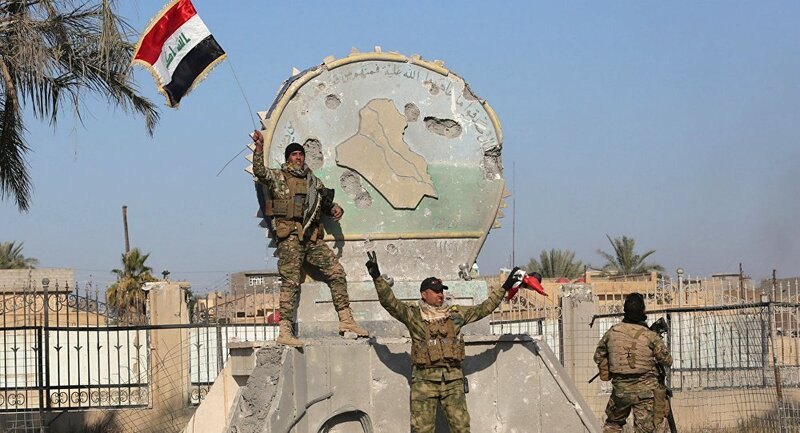 In early August, Iraqi media reported that Khalidiya Island had been fully liberated from terrorists.The city of Ramadi was occupied by Daesh militants in May 2014. The government forces succeeded in retaking the city after weeks of fierce fighting from December 2015 to February 2016. Daesh is a terrorist group mainly operating in Syria and Iraq. The jihadists have also claimed responsibility for attacks in Europe. The group is outlawed in many countries around the world, including Russia and the United States. Iraqi police and armed forces have eliminated two pockets of Islamist resistance north of Ramadi in the western Anbar province, an operations commander said Friday. Maj. Gen. Ismail Mahlawi, in charge of Anbar operations, told the local Alsumaria television that Iraqi security forces and anti-terror units killed many Daesh fighters with international air support.Iraqi troops launched a large-scale offensive against Daesh militants last summer. In December 2015, they drove Islamists out of the Anbar provincial capital Ramadi, in preparation for the operation to recapture Daesh stronghold Fallujah. Daesh is a designated terrorist group that is outlawed in the United States, Russia and numerous other countries worldwide.